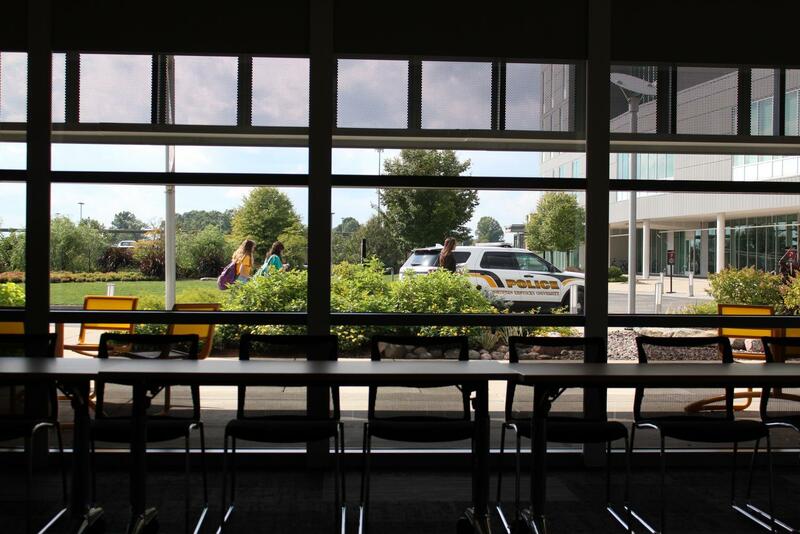 A patrol vehicle viewed from the glass windows of Student Union Room 108. In the event of an emergency—or an active shooting—NKU officials say it’s important to take responsibility for your safety by knowing where exits are, arranging communication plans and familiarizing yourself with ALICE. ALICE training teaches you how to respond, using Alert, Lockdown, Inform, Counter and Evacuate, in the event of an active shooter. 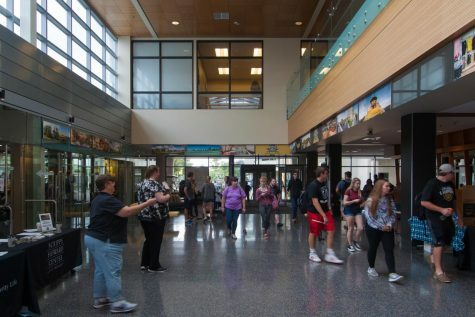 For the past three years, NKU has been offering an abridged version of ALICE at freshmen orientation, according to NKU Police Chief John Gaffin. Gaffin said that in this condensed version, students miss out on the hands-on aspect of ALICE. During the typical four-hour training, participants engage in various activities that would prepare them in the event of an active shooter. In one of the activities, a person is designated as the “shooter” and they are given a Nerf gun to simulate a shooting. According to Gaffin, those who need to “Counter” can deter the accuracy of the shooter by distracting them with throwing any items available. “Once they come in the room, you’re throwing books at them. You’re throwing your phone at them, stuff like that. And it shows just how effective those strategies really are in real life,” Gaffin said. 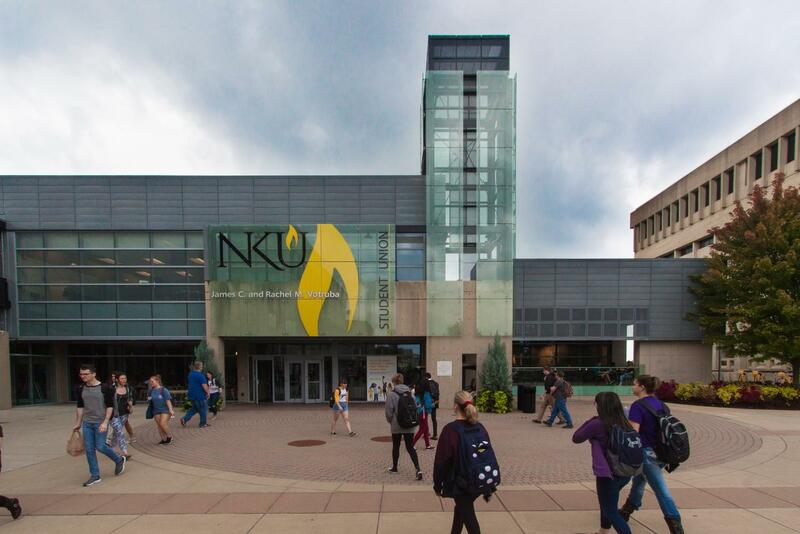 At NKU, emergency contact systems are available to alert the campus community and keep them informed in case of an emergency. You can receive text messages, phone calls and/or emails after subscribing to Norse Alert through your MyNKU account. Jeffrey Baker, director of safety and emergency management, said Norse Alert’s provider—Rave Mobile Safety—can send out mass notifications to an individual’s device that is signed up. However, it has to go through the individual’s cell phone provider, before the message gets sent out to their device. “It gets put into a queue and gets sent out to that person, and there’s nothing that Rave Alert or [Emergency Management] can do to make that faster, more importantly. That, again, is why we have the big voice on campus,” Baker said. 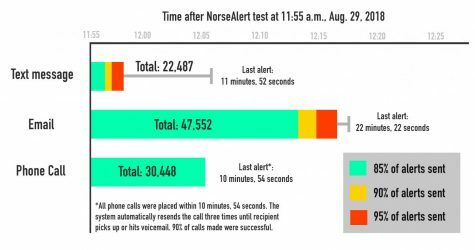 Norse Alert was last tested Aug. 29 at 11:55 a.m. Based on NKU Police records, response times for each method are shown above. NKU also utilizes the loudspeaker systems throughout campus to combat the delay of messages pertaining to the current situation. “When I joined this campus, it was a very reassuring thing to have that. Not many campuses have the luxury of having a public announcement,” Assistant Vice President of Facilities Management Syed Zaidi said. Gaffin said a Norse Alert is sent out when a situation meets certain criteria, like something or someone causing harm. On Aug. 27, 2015 an incident occurred in Steely Library where a person was armed; no shots were fired from the firearm, but the gun jammed with a round in the chamber, according to a past Northerner report referencing a police incident report. According to records provided by Gaffin, the police were notified at 9:45 a.m. of the incident and an officer was at the scene at 9:46 a.m. The suspect was in handcuffs and escorted out of the library at 9:54 a.m. The main reason no Norse Alert went out is because no harm was being done. Also, Gaffin said, it wouldn’t have been effective to send out a Norse Alert right away because it could’ve hindered the police’s ability to quickly get to where they needed to be. “If that call had come in, ‘There is someone over here and they just shot somebody.’ Yeah, that Norse Alert would have gone out instantly,” Gaffin said. 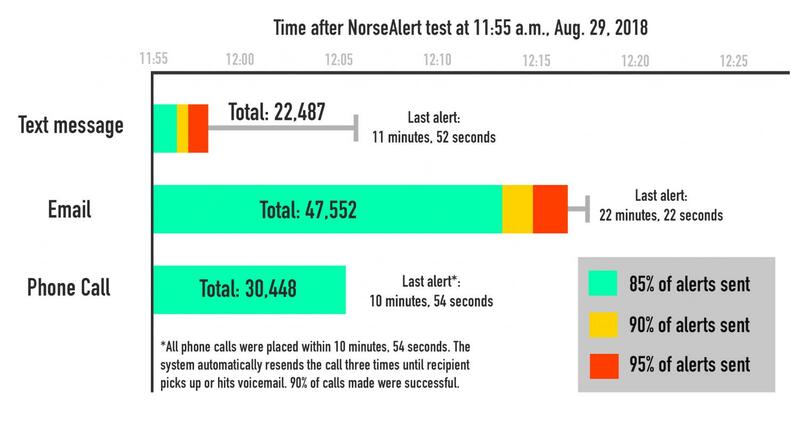 In order to make sure that Norse Alert works properly, NKU sends out a test every semester. On Aug. 29, 2018 at 11:55 a.m., the test was sent out to 41,951 different devices or communication methods, according to Gaffin. The University of Cincinnati uses the same emergency contact system provider as NKU. The difference is that UC utilizes the Rave Guardian App, whereas NKU uses Rave Alert. UC gives users emergency notifications through the app rather than through their selected devices as Norse Alert does. Although NKU doesn’t use the same Rave service as UC, NKU does have an app that Gaffin said emergency information can be found on. 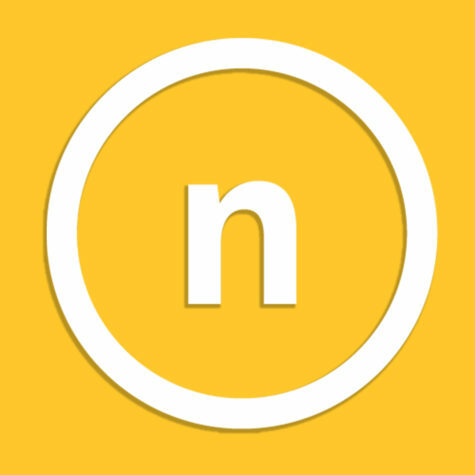 In the app “Northern Kentucky University,” there is a section titled “safety” where information regarding Norse Alert, emergency situations and more is located. It’s available on the Apple App Store and Google Play. “There’s also this safety info section that’s more of an emergency guide. And, so, it breaks down any number of situations that could happen. It’s not just specific to active shooter,” Gaffin said. Rooms in the Student Union often have multiple exits, and safety officials say it’s important to know where they are. Do you know your exits? Aside from Norse Alert, students and faculty can familiarize themselves with their surroundings—making themselves aware of the exits available, according to Zaidi. Zaidi compared knowing your building exits to knowing where the emergency exits are on an airplane; he said it’s unlikely you’ll use them, but it’s important to be aware of their location. According to Zaidi, some rooms with glass walls typically have multiple exits, such as meeting rooms 108 and 109 in the Student Union. However, the glass throughout campus is not bulletproof, said both Baker and Zaidi. “Glass isn’t necessarily the weakness that people think it is,” Gaffin said. Regardless of what material the door is made of, Gaffin explained you can barricade any door in defense. The people carrying out violent acts usually move on from a room if they can’t get in, according to Gaffin. That’s why it’s important to barricade the room you’re in to prevent the shooter from getting in. Gaffin said each room in various buildings have their own advantages and disadvantages. The difference in the designs of the rooms came with the switch from efficiency to a more aesthetic look. The buildings designed before the Natural Science Center (2002) were meant to last long, be well-insulated and strong. Baker said that during the ‘70s and ‘80s, buildings were made out of concrete as they were more energy efficient while the newer buildings on the western side of campus emphasized aesthetics more than efficiency. Nonetheless, they are designed to withstand NKU’s number one risk: weather, specifically tornadoes. This was determined after a recent evaluation, according to Zaidi, which was placed over several other factors. “So the wind, typically, isn’t going to affect the inside of the building. In a weather situation, most of your glass breakage is either: the wind picks something up and threw it at the window…but, a lot of times, it’s also that pressure,” Baker said. The James C. and Rachel M. Votruba Student Union. Baker also said it is almost impossible to create a structure that is safe from every dangerous scenario. If you are in the Northern Fare Food Court or in one of the glass classrooms near Griffin Hall’s lobby, you are advised to use your ALICE training to respond accordingly to the situation. The NKU Police website features a training video that covers what to do during an active shooting. The video discusses different scenarios and the proper execution of plans. In those moments, Zaidi said it’s beneficial to develop a “survivor mentality.” This mentality covers what you should be thinking and how you should respond in everyday situations should an emergency arise. “Every individual who wishes to remain alive needs to develop this survivor mentality because you will be safe for yourself and everybody else,” Zaidi said. Part of that “survivor mentality” is taking care of yourself and keeping yourself safe in the event of an emergency. “Don’t worry about what everybody else is doing. You do what you think is right and you worry about you,” Baker said. Gaffin said if you need to help people with disabilities during an active shooter situation, find the proper ALICE step to fit the current environment. Gaffin advised that if evacuation wouldn’t work, lockdown the room as best you can. A system that works well, in Zaidi’s opinion, for families, classmates and friend groups is having off-campus contacts. Zaidi said you should have a contact system in place to notify others that you’re safe in a dangerous event. Using a group system will keep everyone involved aware of the situation, even if one individual can’t be reached. “That, in case you are not able to contact—contact the third person, or your friend in school in Lexington. Make sure that if you can’t get in touch with your friend, you say, ‘I’m safe. I can’t get in touch with them’ and [your friend] should do the same,” Zaidi said. While students are advised to apply their ALICE skills, the campus police will have plans in place if a situation were to occur that would warrant them. Gaffin said that once the campus police are notified of an active shooting, they will send out officers who are immediately available. The goal is to stop the harm that is happening, so that might include bypassing injured people in order to subdue the suspect. “These situations tend to end very quickly, particularly when the offenders are confronted by the police,” Gaffin said. Gaffin described situations as having “hot,” “warm” and “cold” zones. In a hot zone, the police’s main objective is to contain the suspect from causing further harm. A warm zone is when the police have located the suspect and are allowing medical professionals into areas that are no longer a threat. The cold zone would be when a threat no longer exists and the area can be opened to the public. The FBI classifies an active shooting as an individual(s) attempting to kill people, or has killed people, in a populated area. According to the FBI, between 2016 and 2017 in the United States, they classified 50 incidents as active shootings. There were 943 casualties, excluding the shooters; 221 people were killed. The number of casualties increased over the past two years due to three incidents, according to the FBI: Pulse Nightclub, Orlando, Florida; Harvest Festival, Las Vegas, Nevada; First Baptist Church, Sutherland Springs, Texas. “It’s a balance between preparing for a thing that we know is a very real risk but is also not a super significant risk,” Gaffin said. Similar to how drivers must be insured in the event of a car accident—despite not knowing if one will happen—Gaffin said we learn ALICE to be prepared if an event were to occur. To ensure you’re receiving messages from Norse Alert, you can sign up for the alerts in myNKU account under the Norse Alert tab. If you did not receive the phone call and/or text on the Aug. 29 test, contact Jeffery Baker with Emergency Management to fix the issue. Contact him at bakerje@nku.edu or (859) 572-6522. If you are interested in taking the full ALICE training course, you can sign up here www.pod.nku.edu. The dates for 2018 so far are Friday, Oct. 26 from 12:00 p.m. to 1:30 p.m. in AC 722 and Tuesday, Nov. 6 from 12:00 p.m. to 1:30 p.m. in AC 722 or SU 302.